When: Sunday May 5, 2019; 9:00 AM – noon. 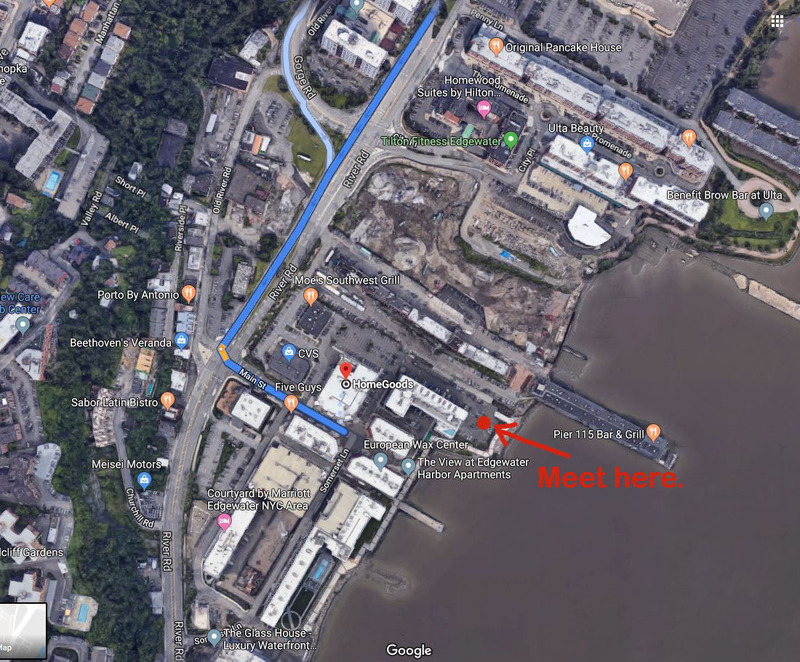 Meet: 9 AM at the Edgewater Harbor Parking Lot. We are meeting in the southern most part of Edgewater for this walk, by the Oyster Building. There is reserved parking for walkway walkers. Walk starts 9:30AM. Driving Directions: Get onto River Road. If you're coming from the north make a left into the Edgewater Harbor Shopping Center at Main Street. If you're coming from the south, make a right at Main Street. Pass Home Goods (on left) and make a left. Pass the last building on your right and make a right towards the river. Look for the HRWC banner. Nearest Light Rail Stop: None convenient for walk. Walk Description: Walk south through Edgewater Harbor, the old Unilever research center, past the undeveloped Riverview property and reenter the Walkway at the Watermark Condominiums. Pass Roc Harbor where the Walkway has recently been reconstructed. For remainder of the walk, the Walkway is almost fully built and is largely adjacent to waterfront condominiums. It is hard to imagine that this area was full of railroad yards and industrial sites less than 40 years ago. Walk past the Palisades Medical Center and the North Bergen/Guttenberg Park built jointly by the two towns. Continue through a long stretch of condominiums and end at the Port Imperial Ferry Terminal.